Do You Have Puerto Rican Coffee? 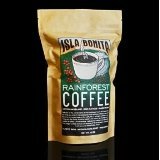 Isla Bonita Puerto Rico Rainforest Coffee Whole Bean. Has an exquisite taste that is full of cherry and chocolate undertones full bodied, yet smooth. Cafe Yaucono. 6 bags of 14 ounces each. Cafe Yaucono Grain Coffee. Gourmet Whole bean coffee from Puerto Rico in a 5 pound bag. Cafe Rico Ground Coffee. 2 Pounds total of Puerto Rican coffee, 2 Bags of 1 Pound Each. Cafe Crema Espresso 10 Ounce Can. Cafe Crema espresso dark roast ground coffee from Puerto Rico in a 10 ounce can. Puerto Rico Hacienda Ana Luisa Shade Grown Coffee-Light Roast-Whole Bean. Also available in course grind - press, fine grind - espresso, medium grind - drip, and whole bean. Available in dark roast, light roast, and medium roast. Good Dog Coffee DS. - 5 LB Puerto Rico Green Arabica Coffee Beans Shade Grown.